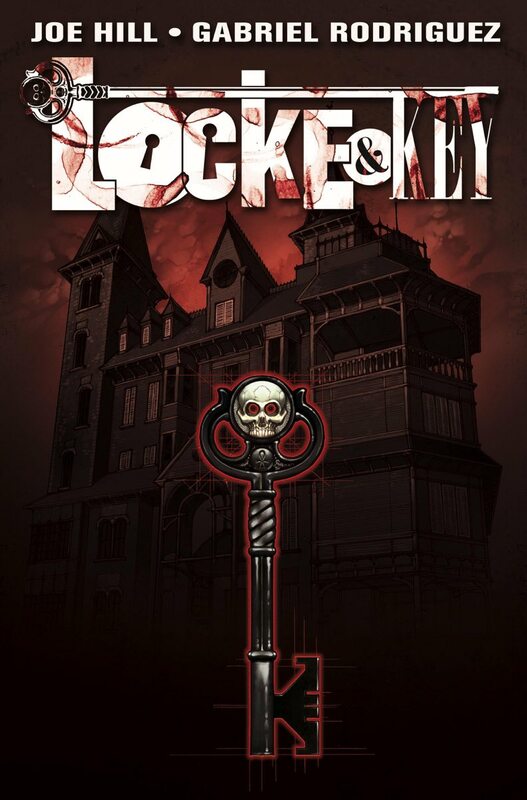 Last year, IDW Entertainment and series writer Joe Hill revealed they were developing the hit comic series Locke & Key for television and now Hulu has officially ordered a pilot for the series, which has Carlton Cuse (The Strain, LOST) set to executive produce and showrun. In addition, Scott Derrickson, who just directed Marvel’s Doctor Strange, will direct the pilot episode and potentially helm even more episodes should it be picked up to series. Locke & Key has had a long history of making it to another medium with Dimension Films purchasing the rights in 2008. Following that, a television series was in development at FOX in 2010 (which was even given a series order, but never went forward after the pilot was produced), and finally a failed film adaptation with producers Alex Kurtzman and Roberto Orci in 2014 with Universal Pictures. 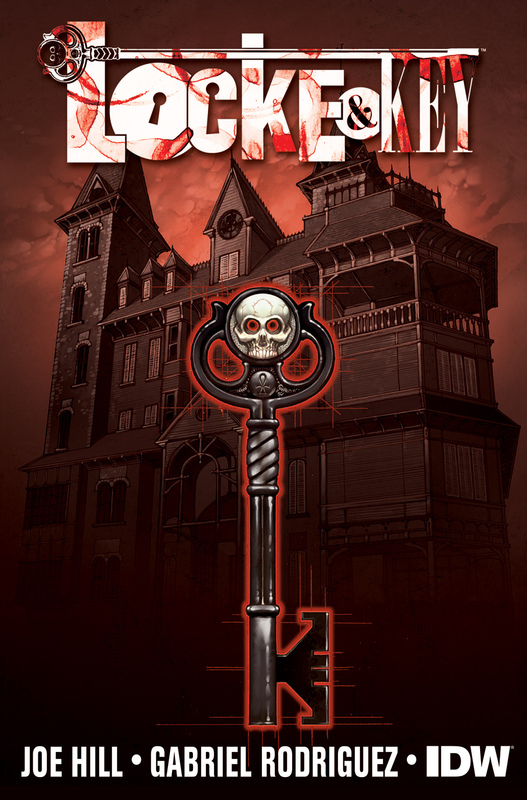 Joe Hill and Gabriel Rodriguez are returning to their Eisner Award-winning comic book series Locke & Key, the ingenious horror/thriller saga set in an ancient New England house full of enchanted keys that unlock different doors and activate different supernatural powers, for a one-shot comic that is due from IDW in December of 2016. 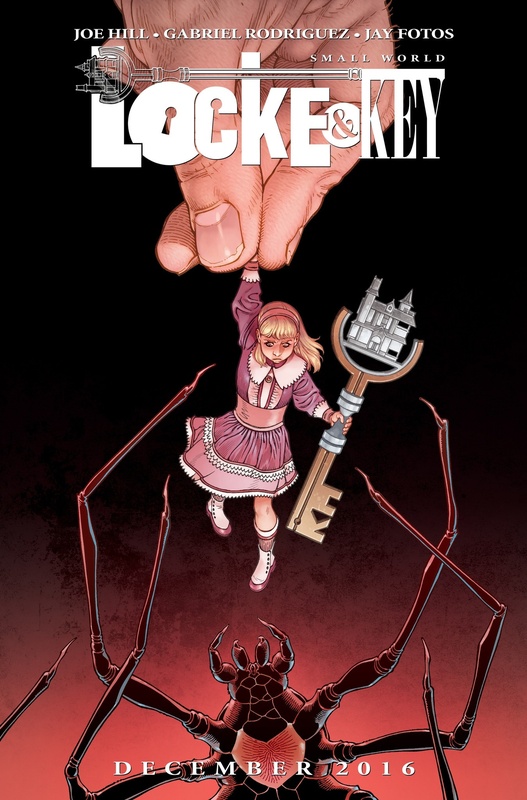 Locke & Key: Small World tells a new story about one of the many keepers-of-the-keys in the Locke family, Mary Locke, and is set in the early 20th Century. In stores on December 21, 2016. IDW Entertainment announced today that the award-winning, fan-favorite property Locke & Key is being developed as a television series. 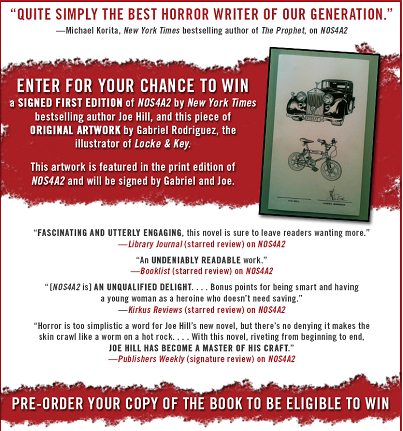 Author/creator Joe Hill will be writing the pilot and serving as an executive producer. 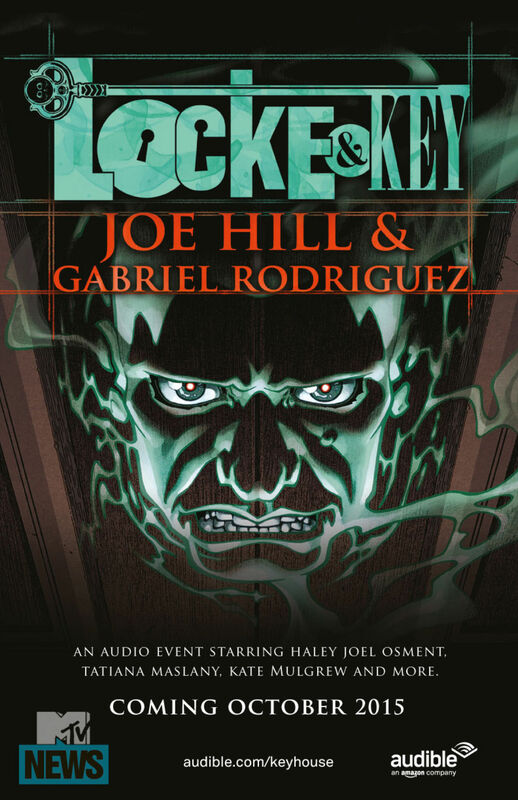 Locke & Key, the award-winning comic book series created by writer Joe Hill and artist Gabriel Rodriguez will be released as an audio adaptation this Fall. Audible Studios will be publishing the first graphic novel, adapted as an audio book with an all-star cast featuring 50 voice actors, and an original score. It will be narrated by Haley Joel Osment (“The Sixth Sense”) and Tatiana Maslany (“Orphan Black”), with special appearances by Joe Hill, Gabriel Rodriguez, Kate Mulgrew (“Orange is the New Black”) and Hill’s father, Stephen King. The audiobook will be free from October 5 to November 4, after which it’ll become a paid product in the Audible store. Alex Kurtzman, Roberto Orci and Bobby Cohen will produce through their Universal-based K/O Paper Products banner. Ted Adams, IDW Publishing’s CEO and Publisher, will also produce. EVP of Production Jon Mone and Creative Executive Jay Polidoro will oversee the project for the studio, while Ben Kim will handle development for K/O Paper Products. In Locke & Key, a shattered family attempts to overcome a horrific trauma by moving to their ancestral home in Massachusetts. Once there, they discover a house filled with supernatural keys that unlock family secrets, pitting them in battle against true evil. 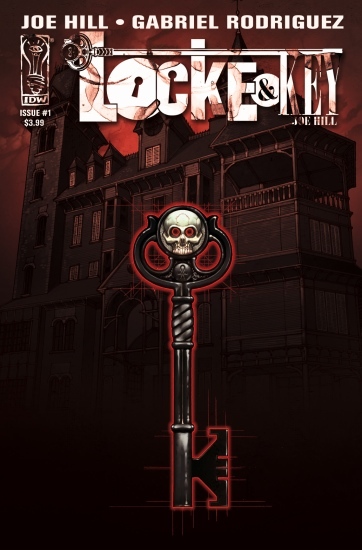 The Locke & Key series has appeared on the New York Times bestseller list multiple times and has garnered several Eisner Award nominations including a win for Hill as Best Graphic Novel writer. In addition, it has twice won the British Fantasy Award for Best Graphic Novel. Locke & Key shot a pilot episode which was not picked-up by Fox, but garnered attention from studios.